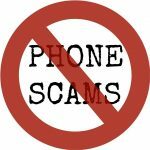 Reminder To Everyone – Be Wary Of Tax Scams! 1. Fraudsters are calling consumers impersonating the Canada Revenue Agency (CRA) and claiming that a recent audit has identified discrepancies from past filed taxes. Repayment is required immediately. Fraudsters threaten consumers that failure to pay will result in additional fees, jail time and/or deportation. Fraudsters may request payment via money service business, pre‐paid cards / gift cards (iTunes) or bitcoin. 2. Consumers receive an email or text message indicating a refund is pending from the CRA. The email includes a link that directs consumers to a website that looks like the actual CRA. Consumers are asked to fill in their personal information such as Social Insurance Number (SIN), Date of Birth (DOB) and banking information before receiving the refund (email money transfer). Victims who input their personal information are subject to identity fraud. No refund is ever issued. In most cases, the CRA will use registered mail to contact consumers – not email or phone. Contact the CRA directly to confirm you owe back taxes or are entitled to a refund. Never provide personal information over the telephone, by text or email. The CRA would never request payment by money service business, iTunes gift cards or bitcoin. If you’ve shared personal information, contact Equifax and Trans Union to place fraud alerts on your account. If you’ve shared banking information with the scammers, contact your financial institution to place alerts on your account. Kevin is a local business owner in Puslinch.